One of the triggers of this term seems to be the Reveal Study performed by Willow Creek and done across a number of different churches to collect more accurate data. 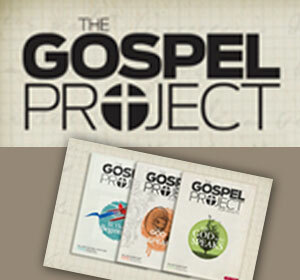 It found that significant numbers of people were not making the complete journey to becoming robust disciples. This finding was mainly attributed to the fact that people faced situations or places along their journey where they found themselves stuck, and unable to progress forward to deeper Christian maturity. This understanding caused Willow Creek to rethink what it might look like to have a more robust discipleship strategy. It is not enough, however, for us to merely recognize this discipleship deficit. We should be asking what we can do to change it. We as evangelicals are not making robust disciples, and this elephant is one that can no longer be avoided. Part of the solution process seems to have already begun. Many conferences are now talking about disciple making; yet, these focused times of discussion need to lead to action. Another encouragement is that many churches are beginning to assess the process and direction of their discipleship efforts, but at the same time the words of Winston Churchill come to mind: “However beautiful the strategy, you should occasionally look at the results.” And that’s what we need to do. 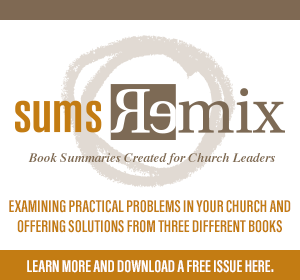 Let’s look at the process of disciple making and consider how this could be best undertaken. How could an evangelical church today make effective disciples who grow to such a maturity in their faith that they too could make more disciples? I believe there are two great (perhaps obscure) references in Scripture that would help us consider the topic of discipleship. The first reference is in the New Testament where the Bible speaks of the people of Berea. Luke notes that the Bereans were more noble than the Thessalonians, and the reason he gives for this is that they searched the Scriptures to see what was true (Acts 17:11). My hope is that as we consider discipleship, we might be like the people of Berea who are truly grounded in the Word of God and let God’s Word shape our ideas, attitudes, and approaches. We need to search the Scriptures in order for us to correctly understand the many facets involved in discipleship. When we conducted our Transformational Discipleship research, we noticed an interesting fact: the number one correlative factor to all other factors for discipleship was people being consistently engaged in the Word of God. The foundation for any discipleship strategy has to be the Bible and the implementation has to involve getting new believers studying Scripture personally and with others. Yet while we hold this idea of Bereans in one hand, let’s quickly look at the other potentially obscure reference. The Old Testament speaks of the man of Issachar, and it says they discerned the times and knew what they should do (1 Chronicles 12:32). Discerning the times can and does mean a lot of things—and we actually do not get much from the context on what it means. I think it involves knowing the context, but most likely it would primarily involve knowing the situation of the people of Israel. We have to understand the context in which God has placed us to know how discipleship works best. Yes, different strategies work best in different churches within different communities at different times. To end the discipleship deficit where you are, you need to know your people and then know what to do to help them grow as mature followers of Jesus. That might be small groups, special classes, one-on-one mentoring, or something else. There’s much more about this in the Transformational Discipleship book, but as we continue to engage in this conversation around discipleship, may we be people of Berea standing on, searching through, and growing in the Word of God. May we also be people of Issachar who wisely think about best practices and strategies, discerning the times about how we might effectively disciple people in this day and in this age. 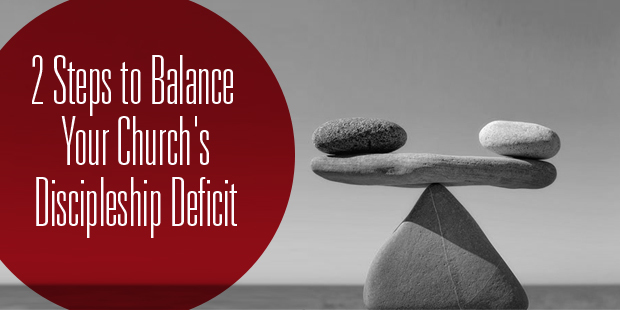 Want to learn how to address the discipleship deficit in your church? Connect with an Auxano Navigator and start a conversation with our team.